The effort of a thousand unsung heroes keep us safe each winter. We’re fortunate to have a world class avalanche forecasting, awareness, and education program here in Utah. These men and women give us the knowledge and information needed to make smart decisions about backcountry travel. Among these individuals is Voile ambassador Trent Meisenheimer: UAC Forecaster, Avalanche Education and Awareness Specialist, and Producer of the acclaimed KBYG video series. Trent has played a key role in UAC’s online efforts over the last few years. We asked Trent to share some of his thoughts with us, and an inside peek at the daily life of an Avalanche Forecaster. Q: What are your earliest memories of backcountry travel? It really started because of my Dads love for skiing. He started me at a young age of two, and before then would ski with me in a backpack. I switched over to snowboarding when I was twelve and never looked back. They were the cool kids back then – remember; this is before twin tipped skis were around. The snowboarders were the ones hitting jumps and jibing rails. When I was 15 my dad got me a splitboard and took me out into the backcountry for my first time. 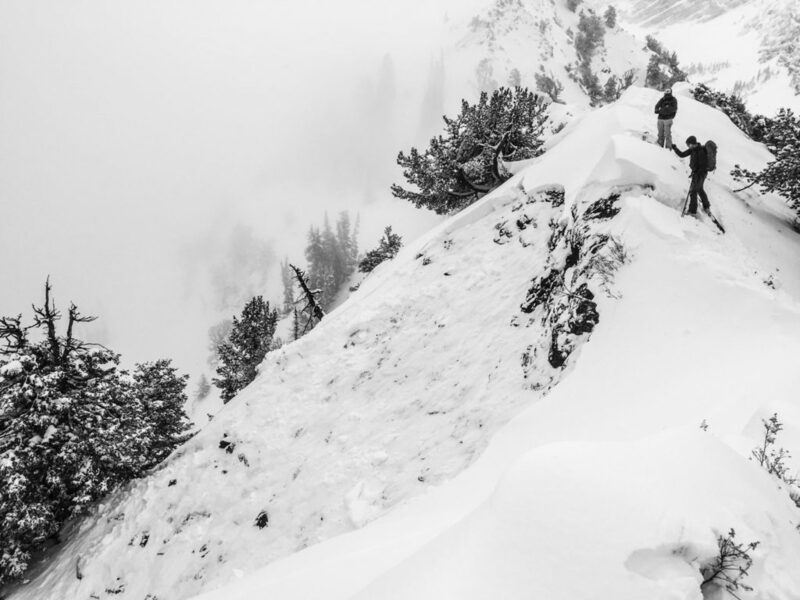 I thought it was stupid – why would I hike for powder? Sometime over that winter it clicked. I saw an avalanche and remember taking a picture of it and sending it into the Utah Avalanche Center. I was hooked – I loved seeing avalanches. Soon after I just wanted to be in the backcountry because that’s where avalanches are. Over the next few years I was fortunate to ski with some old timers who kept me alive and showed me the secret to backcountry skiing everyday. 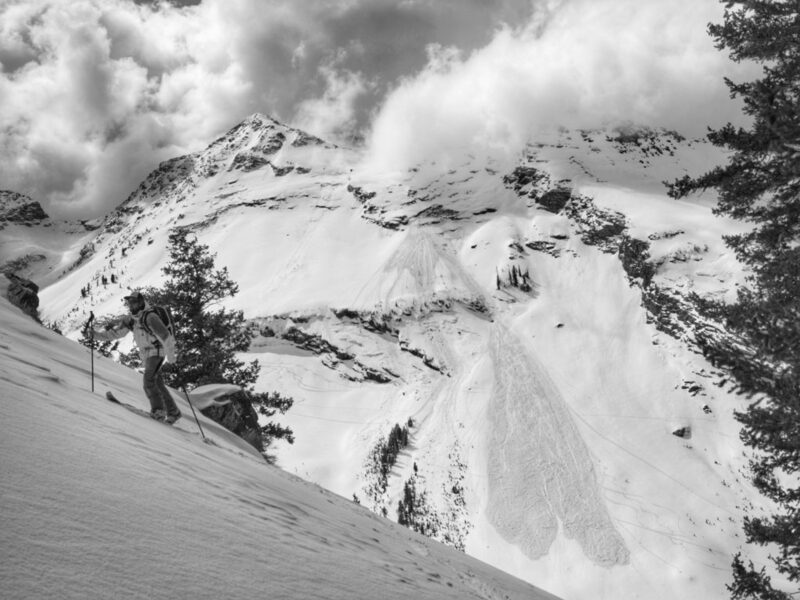 Q: How did you get your start in Avalanche Forecasting? Fast forward to when I was 19. I signed up and took the Canadian Avalanche Association Operations Level One Avalanche class. This was a weeklong course during a hut up in Canada. When I returned I wanted to work for the Avalanche Center, so I called Bruce Tremper. Bruce said to me that there were no jobs available and referred me off to Craig Gordon. Craig, a master planner of all-things-avalanche quickly put me to work doing “Know Before You Go” basic 45-minute avalanche talks. I absolutely loved giving these talks, and soon it went from scout groups to ski shops to REI to shadowing our level 1 and 101 avalanche classes. I guess it just grew from there. Q: What does having a younger generation involved in forecasting bring to the table? Well, different opinions for sure. However, I think it’s a good thing to be able to connect with a variety of user groups in the avalanche world. Ethan Greene from the Colorado Information Avalanche Center says it well. Avalanche education and outreach needs to be like a buffet; you have to have something for everyone. This includes all user groups and all ages. 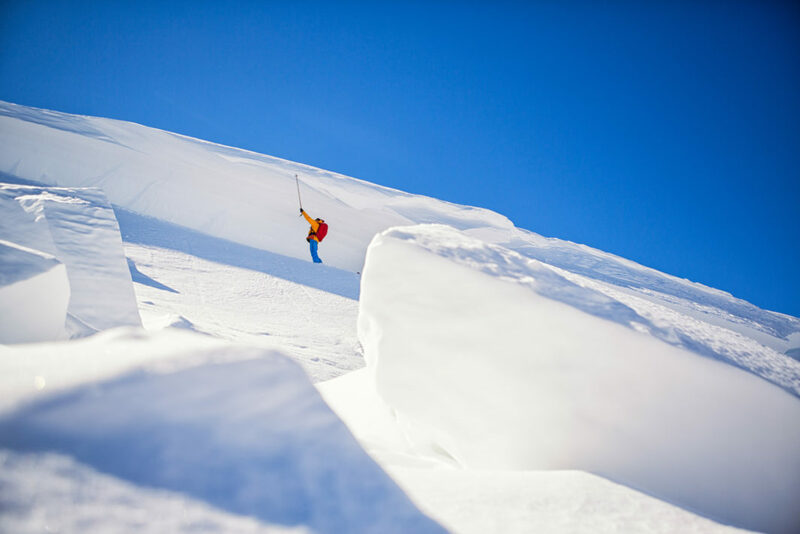 For me – I think I do well connecting to a younger backcountry skier or rider. 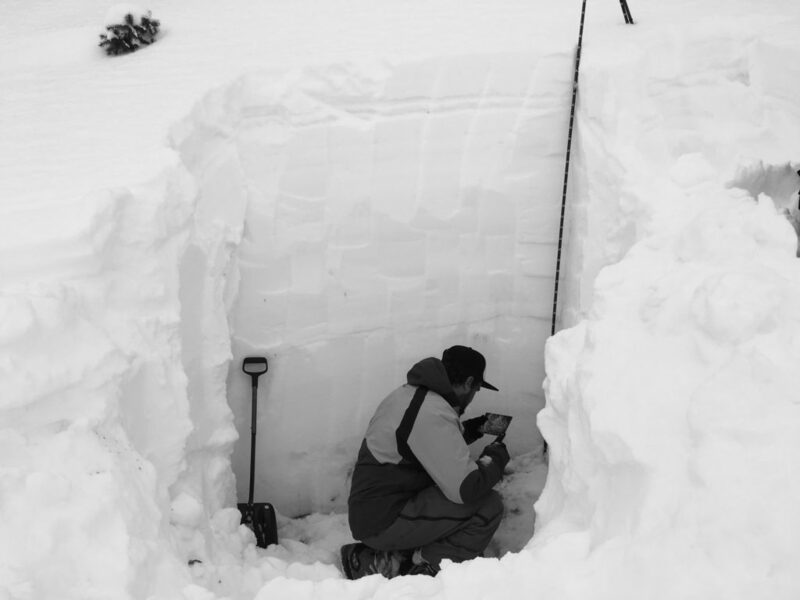 Q: How has social media influenced avalanche forecaster’s efforts? Social media has definitely given all of us at the Utah Avalanche Center a run for our money. We now follow and monitor Instagram and other outlets looking for recent avalanche info. It’s amazing how much information is shared through these platforms. The downside is that we always stumble upon people triggering avalanches and posting about it – but – we don’t find out till days later. That information is critical to an avalanche forecaster and other backcountry skiers. Unfortunately, for us at some point you have to quit looking at all the information and eventually start writing. That’s been my hardest and most eye-opening experience – there is just so much info now. Q: What does your average workday consist of? Well – I wear many hats at the UAC. On a big storm morning the alarm goes off at 2:30 am (its rough) I walk to the kitchen and go right to the fridge and slam an 8oz Red Bull – no breath – all in one go… Then I turn on my coffee machine and pour a tall thermos of coffee. Driving to the National Weather Service the Red Bull hits and I am fully awake and my mind is already theorizing about the conditions. Typically I jam Neil Young (twisted road) on the way in. I park – walk into the office where there are already people who have been there since 7pm the night before monitoring the storms and weather. Sitting down in the cubical, it is GAME ON. I grab three sheets of paper – one is a checklist of duties and times to have certain products out. The second is a list of weather sites to check in the SLC area. Third is another sheet of weather stations in the Ogden and Provo mountains. It’s now 3:10 am. I spend the next 45 minutes or so just working on weather, temperatures, snow amounts… Where is the wind blowing? How fast? How much water is in the snow? After I look at about 50 weather stations and sites and record a bunch of info. I walk over to the lead National Weather Service forecaster and ask him/her about weather. We spend 15-25 minutes looking at models and running different weather products and taking a look at the 700 mb temps and wind speeds. That’s 10,000’ in our atmosphere. Now it’s 4:15am – I start writing…. At 5:00 am it’s time to update the dawn patrol hotline with whatever info I can share or what I think is important to cue in on. But then at 5:10am the race is on again. Writing an avalanche forecast is not easy: there are many things you need to decide on, making choices between Moderate and Considerable can be impossible at times. By 6am the SLC forecast is almost done. Then the phone rings: Hello: Hey Trent this is Woody down here in Sundance, just calling to check in and see what you’re seeing and reporting what I am seeing. It’s amazing on a busy powder day how many people call in the early hours of the morning. I love it! But its time to focus again – I move onto Ogden, work on that for 45 minutes to an hour, then it’s on to Provo. Our ideal time for posting advisories is by 7:00 am. For all three forecast zones – time comes super fast. After all three advisories are posted its time to take a breath. Maybe stand up and stretch. Then by 7:30 am you update all the emails with the advisory, update the phone line with the full advisory, and post to twitter and Instagram. Set the office phone and forward the calls to your cell phone. At 8:03 am it’s time for your live radio interview with KPCW. Ahh – FINALLY done. But then the storm decides to be more intense at 11am and the water is stacking up 2-3-4 inches now. Mark Staples, Drew Hardesty calls. What do you think about posting an avalanche warning. I say I agree. I then call Toby Weed (Logan Forecaster) Brett Kobernik (Skyline Forecaster) and Craig Gordon (Uintas Forecaster) and finally Eric Trenbeath (La Sals Forecaster) I ask if they want in on an avalanche warning… Everyone agrees. Then it’s back to the office to submit the avalanche warning through the NWS. It’s now 2pm. Phone is ringing off the hook. Snow safety teams are calling, people are reporting avalanches – it’s crazy. At this point you’re non-stop watching weather stations and talking to people on the phone. This describes a storm day for a forecaster in the SLC office. Finally by 6pm the day of your shift you get to pass the baton off to the next forecaster in charge for the following day. Q: What is the biggest challenge you face as a forecaster? Deciding on danger ratings when I forecast. It’s hard to remove the human. Meaning, we forecast for snow and avalanches, what the backcountry rider does with that information is out of my control. However, it’s hard to remove the human and emotional side out of forecasting. For me I want to call it how it is and try and be as accurate as possible with my forecast. I wont raise the danger just because it’s a sunny Saturday and hundreds of people will flock to the BC. That’s probably the hardest thing to balance. Probably when someone comes up to me and says they took and avalanche class from me or came to a talk and shakes my hand and lets me know that it helped them make a better choice in the mountains. Q: Has forecasting changed your perspective on backcountry travel and winter sports? Absolutely! When I was younger, say 20, I used to think, “Yes! I can’t wait to get out with avalanche forecasters and figure out the secrets to riding big lines.” I thought to myself, “I am going to be able to ride so many sick lines once I learn.” Well, that didn’t happen. After investigating a friend’s death, having a number of other friends die in avalanches, visiting avalanche fatality sites, and seeing so many other avalanches…my perspective changed. I thought, “Man, dying in an avalanche is not the way.” Riding power is just not that cool. Avalanches are so powerful, and I think many of us forget that. If you want a sobering experience (something I would really recommend doing) the next time there is a close call or a death you should visit the avalanche sight and see it for yourself. Too many people just ski powder slopes and high five and talk about the best day ever. Take a step back and think about if that friend you just high fived was killed on the next lap. For me, I have to be damn sure that a slope isn’t going to slide before I drop in. Usually that means for that most of the main lines will be skied before I ever get to them. But oh-well! I look forward to being alive in 50 years and skiing 30-degree meadows with a smile on my face and sun on my cheek. Ignorance is bliss, but I will never be able to go back. Some days I wish I could be less nervous, but the snow scares me. The more I learn about the snow and how avalanches work the deeper down the rabbit hole I go and the more I realize I don’t know. Uncertainty is what scares me. It’s also what keeps me alive. I don’t really need to ride steep and gnarly lines everyday. I have no problem waiting for them to be safe later in the winter. I just love being out, walking on ridges, looking at avalanches, and geeking out in the snow. Snowboarding big lines and hitting all the chutes doesn’t appeal to me the same anymore. I mean don’t get me wrong: I love nailing the east face of the twins or the coal pit head wall. But I am also patient enough and have the self-control to realize that there are many days in a season and there are many seasons to come in my life. Trent Meisenheimer grew up in Salt Lake City Utah, skiing and snowboarding the Wasatch mountains since the age of two. 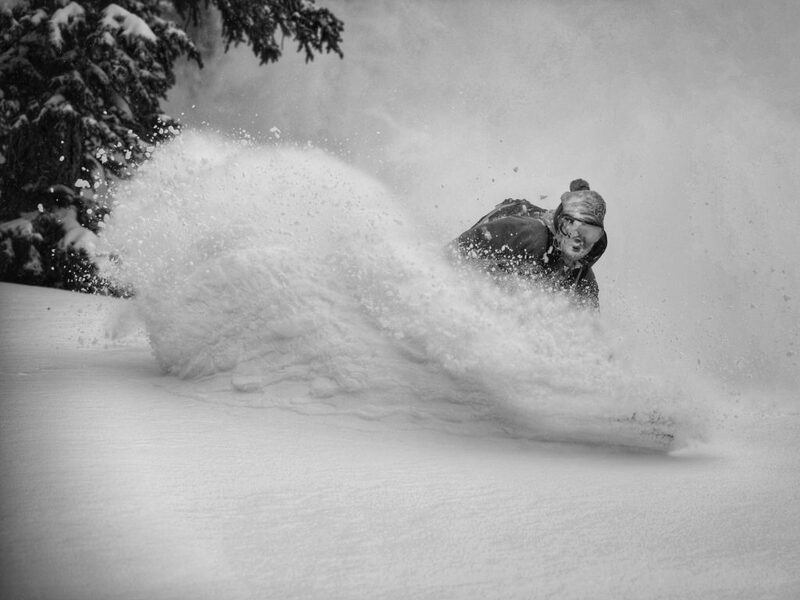 He can be found most winter days pursuing his passion- hiking the backcountry, shredding Utah’s famous powder. He also works for the Utah Avalanche Center where he is continually seeking knowledge for snow and avalanche science. 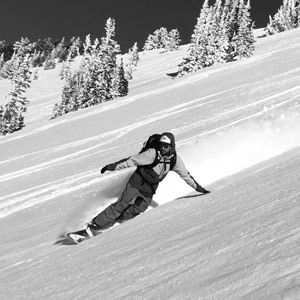 He devotes himself in the winter months to avalanche outreach and education and follows his passion of the mountains. In the summer months you can find him clinging to the side of a rock wall or floating down one of the many scenic rivers in the western U.S. Trent lives in SLC and is a full time Mechanical Engineering student at the University of Utah.